Can Standards Based Grading be Effective in the Secondary School? What does an A+ on a test or quiz mean to a student? Mastery of skill or mastery of information or content? Does an F grade mean a student understands none of the material or less than 60% of the material? How is grading used as feedback for academic performance? Currently, in most middle and high schools (grades 7-12), students receive letter grades or numerical grades in subject areas based on points or percentages. These letter or numerical grades are tied to credits for graduation based on Carnegie units, or the number of hours of contact time with an instructor. But what does 75% grade on a math assessment tell a student about his or her specific strengths or weaknesses? What does a B- grade on a literary analysis essay inform a student about how he or she meets skills sets in organization, content, or conventions of writing? A standards-based grading system may be called competency-based, mastery-based, outcome-based, performance-based, or proficiency-based. Regardless of the name used, this form of a grading system is aligned to the Common Core State Standards (CCSS) in English Language Arts and Literacy and in Math, which was established in 2009 and adopted by 42 out of 50 states. Since this adoption, several states have withdrawn from using CCSS in favor of developing their own academic standards. These CCSS standards for literacy and for math were organized in a framework that details specific skills for each grade level in grades K-12. These standards serve as guides for administrators and teachers to develop and implement the curriculum. Each skill in the CCSS has a separate standard, with skill progressions tied to grade levels. "Cite strong and thorough textual evidence to support analysis of what the text says explicitly as well as inferences drawn from the text." Under a traditional grading system with letter grades (A-to-F) or percentages, a score on this reading standard may be difficult to interpret. Advocates of standard based grading will ask, for example, what a score of B+ or 88% tells a student. This letter grade or percentage is less informative about a student’s skill performance and/or subject mastery. Instead, they argue, a standards-based system would singularly assess a student's skill to cite textual evidence for any content area: English, social studies, science, etc. Score 1: below proficiency at citing strong and thorough textual evidence -explicit and inferential OR needs extensive support and/or reteaching. Assessing students on a 1-4 scale on a particular skill can provide clear and specific feedback to a student. A standard by standard assessment separates and detail the skills, perhaps on a rubric. This is less confusing or overwhelming to a student when compared to a combined skills percentage score on 100 point scale. Standards-based grading also allows teachers, students, and parents to see a grade report that lists overall levels of proficiency on separate skills instead of composite or combined skill scores. With this information, students are better informed in their individual strengths and in their weaknesses as a standards-based score highlights the skill set(s) or content that need(s) improvement and allows them to target areas for improvement. Furthermore, students would not need to re-do all of a test or assignment if they have demonstrated mastery in some areas. "Traditional grading practices have promoted the idea of uniformity. The way we are fair is we expect all students do to the same thing in the same amount of time in the same way. We need to move… to the idea that fairness is not uniformity. Fairness is equity of opportunity" (p128). O'Connor argues that standards-based grading allows for grading differentiation because it is flexible and can be adjusted up and down as students confront new skills and content. Moreover, no matter where students are in a quarter or semester, a standard based grading system provides students, parents, or other stakeholders an assessment of student understanding in real time. "The evaluation conference provides an opportunity for the teacher to make it clear that the student’s strengths and areas for growth are understood and the teacher is proud of the student’s efforts to master the standards that are most challenging." Another benefit to standardized based grading is the separation of student work habits that are often combined in a grade. At the secondary level, a point penalty for late papers missed homework, and/or uncooperative collaborative behavior is sometimes included in a grade. While these unfortunate social behaviors will not stop with the use of standards-based grading, they may be isolated and given as separate scores into another category. Of course, deadlines are important, but factoring in behaviors such as turning an assignment in on time or not has the effect of watering down an overall grade. To counter such behaviors, it may be possible to have a student turn in an assignment that still meets a mastery standard but does not meet a set deadline. For example, an essay assignment may still achieve a "4" or exemplary score on skills or content, but the academic behavior skill in turning in a late paper may receive a "1" or below proficiency score. Separating behavior from skills also has the effect of preventing students from receiving the kind of credit that simply completing work and meeting deadlines has had in distorting measures of academic skill. There are, however, many educators, teachers and administrators alike, who do not see advantages to adopting a standards-based grading system at the secondary level. Their arguments against standards-based grading primarily reflect concerns at the instructional level. They stress that the transition to a standards-based grading system, even if the school is from one of the 42 states using the CCSS, will require teachers to spend immeasurable amounts of time on extra planning, preparation, and training. In addition, any statewide initiative to move to standards-based learning may be difficult to fund and manage. These concerns may be a reason enough not to adopt standards-based grading. Classroom time can also be a concern for teachers when students do not reach proficiency on a skill. These students will need reteaching and reassessment placing another demand on curriculum pacing guides. 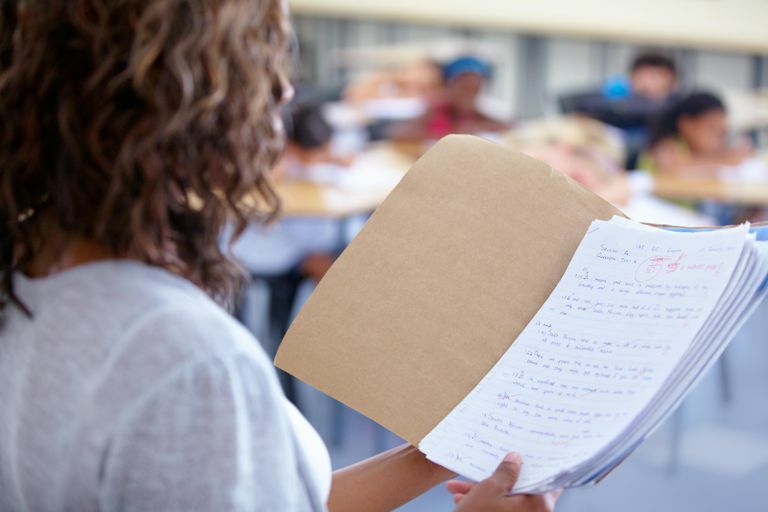 While this reteaching and reassessment by skill does create additional work for classroom teachers, however, advocates for standards-based grading note that this process may help teachers to refine their instruction. Rather than add to continuing student confusion or misunderstanding, reteaching may improve later understanding. Perhaps the strongest objection to standards-based grading is based on the concern that standards-based grading might put high school students at a disadvantage when applying to college. Many stakeholders -parents, students teachers, guidance counselors, school administrators-believe that college admissions officers will only evaluate students based on their letter grades or GPA, and that GPA must be in numerical form. Ken O'Connor disputes that concern suggesting that secondary schools are in the position to issue both traditional letter or numerical grades and standards-based grades at the same time. “I think it’s unrealistic in most places to suggest that (GPA or letter grades) are going to go away at the high school level,” O’Connor agrees, "but the basis for determining these might be different." He proposes that schools might base their letter-grade system on the percentage of grade-level standards a student meets in that particular subject and that schools can set their own standards based on GPA correlation. Other concerns are that standards-based grading can mean the loss of class ranking or honor rolls and academic honors. But O'Connor points out that high schools and universities confer degrees with highest honors, high honors, and honors and that ranking students to the hundredth of a decimal may not be the best way to prove academic superiority. Several New England states will be at the forefront of this restructuring of grading systems. An article in The New England Journal of Higher Education Titled directly addressed the question of college admissions with standard based grading transcripts. 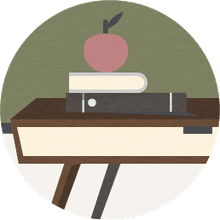 The states of Maine, Vermont, and New Hampshire have all passed legislation to implement proficiency or standards-based grading in their secondary schools. "...that benefits [of proficiency grading] include improved student engagement, greater attention to development of robust interventions systems and more deliberate collective and collaborative professional work." Maine schools are expected to establish a proficiency-based diploma system by 2018. "Overwhelmingly, these admissions leaders indicate that students with proficiency-based transcripts will not be disadvantaged in the highly selective admissions process. Moreover, according to some admissions leaders, features of the proficiency-based transcript model shared with the group provide important information for institutions seeking not just high-performing academics, but engaged, lifelong learners." A review of the information on standards-based grading at the secondary level shows that implementation will require careful planning, dedication, and follow through for all stakeholders. The benefits for students, however, could be worth the considerable effort. The Traditional Grading Scale: Endangered Species or Ageless Wonder?